There are a few options when it comes to boat restaurants on the Vaal River, one of which is the luxurious Liquid Lounge. The Liquid Lounge is a beautiful river cruise boat featuring a lovely upper deck, and comfortable lower deck, with ample space for our guests to enjoy the afternoon aboard our vessel. The Liquid Lounge departs from the Emerald Resort and Casino, the ideal addition to your Sunday lunch on the Vaal River. You can enjoy some fun activities at the resort before or after you buffet lunch. Contact us today to book your table on one of our Sunday Lunch Cruise dates – see our calendar for dates available. Bring your friends and family and enjoy a fun afternoon on the Vaal River! The Liquid Lounge is suitable for almost any occasion. Whether you want to celebrate a birthday, host a wedding, end off the year with colleagues or simply wish to enjoy a Sunday lunch with family and friends, Liquid Lounge can accommodate you. The Liquid Lounge offers the perfect setting for an enjoyable Sunday lunch, and our boat restaurant offers all the facilities you will require during your cruise. 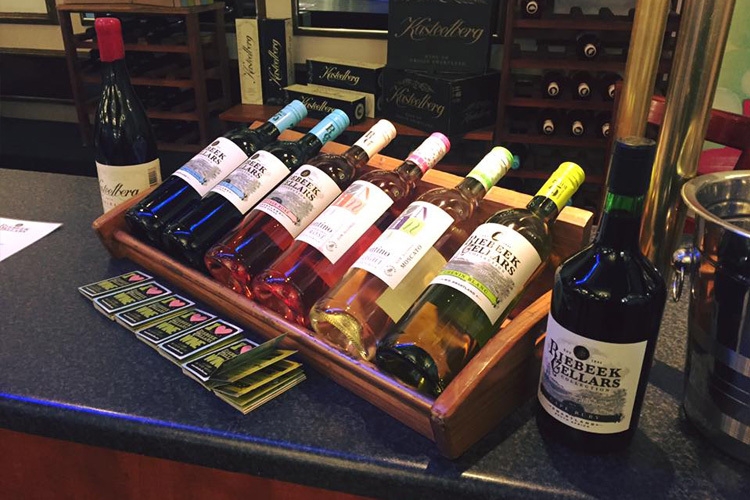 Guests can make use of our cash bar and enjoy refreshing drinks while cruising down the Vaal River in the company of their friends or family. Our upper deck is comfortably furnished with lounge suits, tables and chairs so that guests can relax while taking in the beauty of the natural surrounds of the Vaal River. This boat restaurant in the Vaal Triangle also has a lower deck, ideal for more formal functions or for guests who wish to dine indoors. Our capable chefs will prepare a delicious buffet spread with something for everyone. From tasty meat dishes, to fresh veggies and salads – we trust that there will be no hungry tummies when choosing the Liquid Lounge as your boat restaurant on the Vaal River for a Sunday lunch or function! Make a booking aboard out boat restaurant on the Vaal River today! 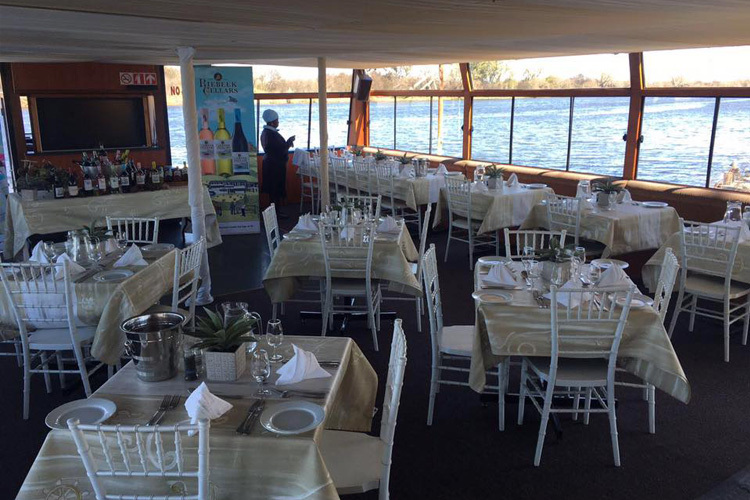 Contact us today to book your table, function or event aboard this spectacular boat restaurant on the Vaal River. We will gladly assist with all the information you require before booking your function or event aboard our river cruiser. View our available dates on our calendar to book a Sunday Buffet Lunch cruise or function. Hope to see you on our boat restaurant soon!